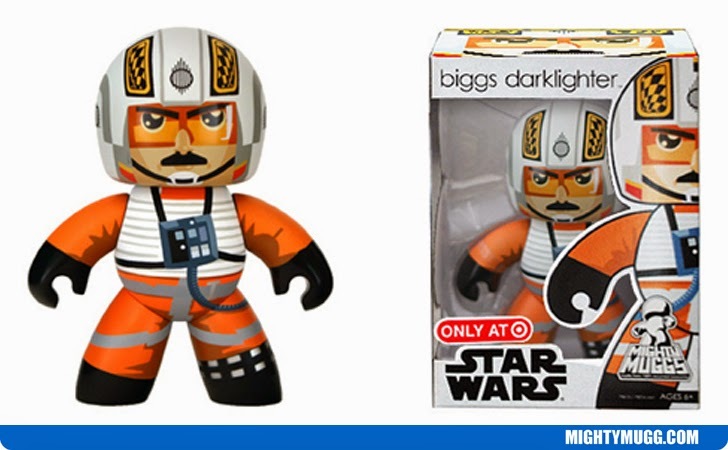 Biggs Darklighter grew up on Tatooine and was a childhood friend of Luke Skywalker. Much like Luke he dreamed of leaving the deserts one day. 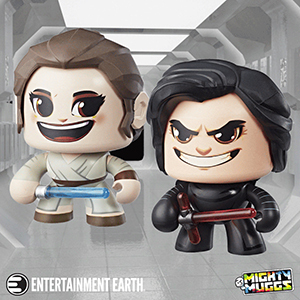 After defecting from the Imperial Academy after graduation he joined the Rebellion. He rejoined Luke at Yavin 4's Rebel base. He flew an X-Wing with the Red Squadron as Red III for the Rebel Alliance in the Battle of Yavin where he was shot down. He first appeared in the film Star Wars: Episode IV - A New Hope in 1977. Actor Garrick Hagon portrayed the character in the film. The Mighty Mugg above portrays him in his orange flight suit.